A transatlantic coalition of environmental groups today applauded the decision of Europe’s highest court to uphold the EU law to reduce carbon pollution from airplanes. 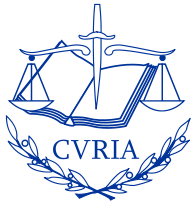 The decision, from the Court of Justice of the European Union, affirms that the EU law is fully compliant with international law. The EU Aviation Directive, the world’s only mandatory program to address emissions from aviation, will take effect in January 2012. Today’s decision is the suit’s final ruling in the Court of Justice, and the case will now return to the UK High Court, where airlines had originally brought the suit challenging UK regulations implementing the law . The UK High Court will implement the recommendations of the Court of Justice ruling. “Today’s decision, from the highest court in the European Union, makes clear Europe’s innovative law to reduce emissions from international flights is fully consistent with international law, does not infringe on the sovereignty of other nations, and is distinct from the charges and taxes subject to treaty limitations,” said the coalition. The Court’s decision makes clear that existing law bars precisely the discriminatory treatment of airlines that the United States and others are calling for, and that the US-EU Open Skies Agreement specifically provides for this type of action when pursued for environmental purposes. The decision also finds that the equivalent measures provision of the Aviation Directive “corresponds precisely” to the objectives of ICAO Resolution A37-19 regarding interaction of market-based measures. The coalition’s six participants include three U.S.-based groups (Center for Biological Diversity, Earthjustice, and Environmental Defense Fund) and three European groups (Aviation Environment Federation, Transport & Environment, and WWF-UK). All six groups are intervenor-defendants in the litigation, and were represented by Kate Harrison of Harrison Grant and Jon Turner and Laura John of the Monckton Chambers. Europe’s Aviation Directive, which includes aviation emissions within the European Emissions Trading System (EU ETS) from 1 January 2012, is a pioneering law that holds airlines accountable for their emissions associated with their commercial flights into or out of EU airports. Aviation is one of the fastest-growing sources of greenhouse gas emissions, rising 3 to 4% per year. Until now, the sector has escaped regulations that would require emissions reductions. Three U.S. airlines — United/Continental and American — and their trade association, Air Transport Association of America (now known as Airlines for America), challenged the legality of the Europe’s aviation emissions trading system. In October, an Advocate General – a senior legal advisor appointed by the Court of Justice of the European Union – issued a formal recommendation to the Court supporting the legality of the EU law. The 13-judge Grand Chamber has been deliberating the case since the Advocate General’s opinion was released Oct. 6.